2009 is the Year of the Beard! 2009 is the year of the Beard, sorry Chinese folk, it’s not the Ox and sorry Brad Pitt, it ain’t the year of the moustache either! It’s all about the beard this year chaps as it seems many of us have spontaneously decided to adorn our faces with manly bristles. I don’t know if it was just to keep our faces warm in the cold weather, but I met up with some pals shortly after the New Year and nearly all of us had grown beards! I made the decision to keep mine and think others should do so too. Women seem to love the rugged and earthy look that facial hair gives us men. Two female friends who were commenting on my new facial addition both separately quoted a study they had heard of that said women are attracted to different guys at different stages of their lady cycle. When at the most reproductive stage they are most attracted to masculine-looking guys with beards and muscles but like less masculine looking men when the painters are in. I have been genuinely surprised and very flattered by the number of nice comments I have received from both women and men about my beard. Now this could be just that they are pleased it covers up my face, but I am reassured that it is the beard that people like and think is cool. Even the cantankerous caretaker of my building said it was nice and made me look like I was into the arts?! Beard growth is a new experience to me as I have never gone past the 6 or 7 days of growth previously as it always gets itchy, but if you can get through that having a beard is surprisingly good. I initially felt rather scruffy but I splurged and purchased a beard trimmer (only £13) and you can maintain a dapper beard with only one trim per week. So I am now officially a pogonophile (lover of beards) and think beards are great. They have so many advantages: women love them when they are at their ‘happy time’ and don’t want to be near them at their ‘non-happy time’; you instantly look intelligent when you stroke your beard; they only take two minutes of maintenance per week and like Mr Twit you can keep food in them for a tasty snack later in the day! Is it just me, or is everyone just too damn busy? Do you remember a time when you arranged your weekend on a Friday night? It’s probably just that I am old (or maybe it’s just my friends are old? ), but I now have to arrange a drink with a close buddy weeks in advance. Well, I’ve been trying to organise a party with only, wait for it, two weeks’ notice. They said it could not be done. Organising this party has made me feel like I’m in Challenge Anneka, except that I am not wearing a bright jump suit (I don’t have the cleavage thankfully). I have been calling in favours, twisting people’s arms, sending out texts and Facebook messages, and using all the sneaky, devious tricks I know to get my friends to show up at the party. However, I’m resigned to the fact that a significant proportion of my close friends will not be able to make it, and many have already said that they cannot be there. Now, it could be that I am very unpopular (probably a good theory), but I am offering a great venue, free booze, food and music. Because everyone has such busy lives now, I am having to persuade people to come along, to change their plans, to bring their friends. I even have a secret superhero theme and a prize for the best superpower. Cool, huh? OK, maybe it’s not that cool, but it sounds fun to me. I’d be interested in a party like that. I accept that people’s lives are quite busy and they have a lot of commitments. Even I’m quite busy and have had to turn down a few friends recently – but I did at least have the decency to turn them down. 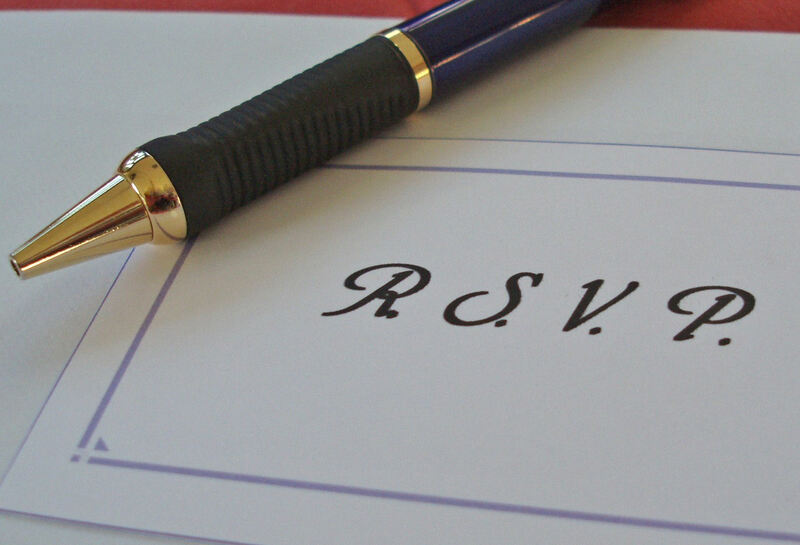 It seems to be accepted now that not RSVP-ing is OK. A kind person has generously offered to entertain you for the evening, so isn’t it a simple common courtesy to respond to them? By the way, if you’ve not got the email, then you’re not invited! Some people mistakenly believe they are sitting comfortably on the London Underground, but in actual fact they are in a war-zone, with hundreds of silent battles in progress where even millimetres of territory are fought for. 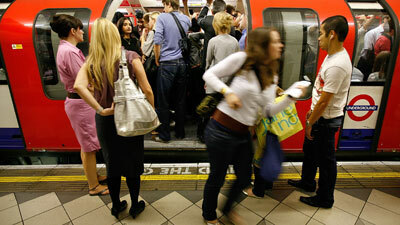 Why are so many people on the tube so inconsiderate?! Even though they may be little acts of consideration, they are significant and important to us. For example, take arm rests (one of my personal bug bears), these are to be shared between TWO people and not to be monopolised by one person. It’s not rocket science and you don’t need a manual to figure this out, it is just good manners. Then there are those men who must have elephant-sized testicles as the insist on sitting with their legs spread as wide as they can and don’t seem to care that they are taking up more space than they have been allotted or that they are touching the person next to them? I know there is not a massive amount of space, but in a big city of millions of people surely we have to be considerate to each other? 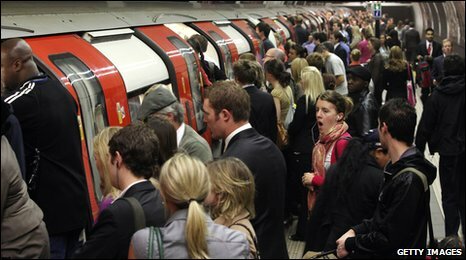 I am sure you will have experienced a crowded platform, the doors open, lots of people get off and then the first person gets on the carriage and just stops, instantly forgetting the 80 people behind also waiting to get on?! Or those people who try to get on whilst others are getting off. If we are not careful we will end up with the Paris model where it is accepted to just push each other out of the way getting on and off the train. This is hardly what I think is acceptable behaviour for modern civilised society! Don’t get the impression I am a perfect tube gentleman, I am guilty, like we all have done, of forgetting my surroundings. I have been so absorbed in my pocket PC and ipod that I have not noticed someone needing a seat more than me. The person sitting next to me then offered their seat which is when I looked up to see 8 or so faces looking at me disapprovingly. I have also been one of those annoying people with a big rucksack who has no awareness of bumping into others. My girlfriend once had to point out I was bumping into a man sitting down and being quite an apologetic person I swung round to say sorry and took out the woman sitting on the other side! We all seem to, and I am not sure if there is actually a rule against this, collectively frown upon those eating fast food on the underground. What about those people with the worst earphones in the world? Or those who reach behind two people to grab one of those free newspapers? fall short from time to time, not to bite the head off someone who kindly and politely points out an indiscretion. I promise I won’t bite your head off, but I still might accidentally hit you with a ruck sack.